If you enjoy vegetable gardening or growing flowers, adding organic matter formed by composting will give you great results. Have you always thought that making compost is difficult? These Composting Tips will take the mystery out of it for you. Composting may seem like something that only our ancestors did, but many modern gardeners take advantage of its benefits. And these composting tips will make it easy for you to understand the process. Compost is organic matter that has been decomposed and then recycled to be later used as a fertilizer for plants and also as a soil amendment. Using compost is something that is practiced in organic gardening, when you want to limit chemicals that are added to your soil and plants. A compost pile can be enclosed in a container and turned, or you can have a free standing rolling compost pile. A traditional compost pile and be tended all four seasons, but doesn’t “cook” as much when the weather is cold. Composting can be as complicated or as simple as you want.There are even under the counter composting bins for the kitchen! I’ve even tried planting in compost piles themselves to see what happens. Best of all, compost is considered one of nature’s natural ferlilizers. Where can you get compost? 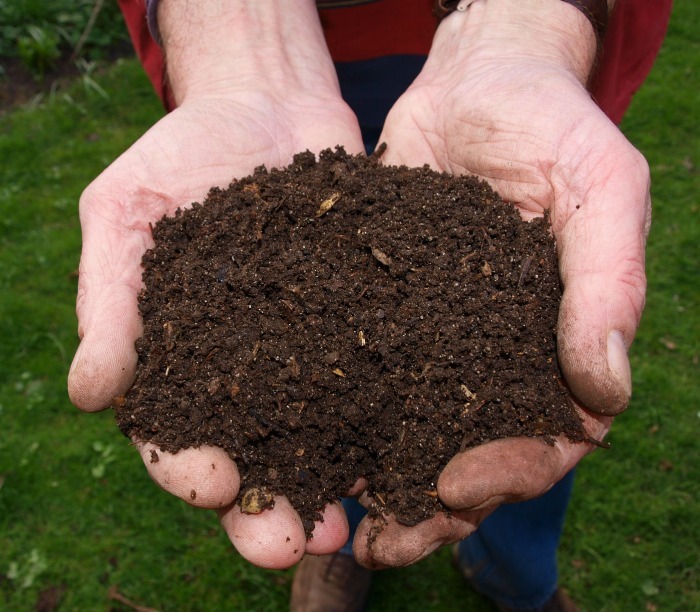 Before we get started on composting tips, lets see what makes up a compost pile. All of these items can also be free, even the water, if you can save rain water! So why buy compost when you can make your own? Simply put, composting requires wet organic matter that is a combination of nitrogen rich green materials and carbon rich brown materials. In time, the pile of matter will break down into a rich soil like mixture. This can take a few weeks to a few months, depending on the weather. A good combination of greens to browns in a compost pile is 1 part green to 3 or 4 parts brown materials added. Since greens are a bit harder to come by than brown materials, it seems that mother nature knows what she is doing! It is not a hard and fast rule, but it is easy to know if you are doing it right. If your pile is too smelly, just add more browns. On the other side of the equation, if the pile is not heating up enough, then add more greens! kitchen scraps such as fruit and vegetable peelings. 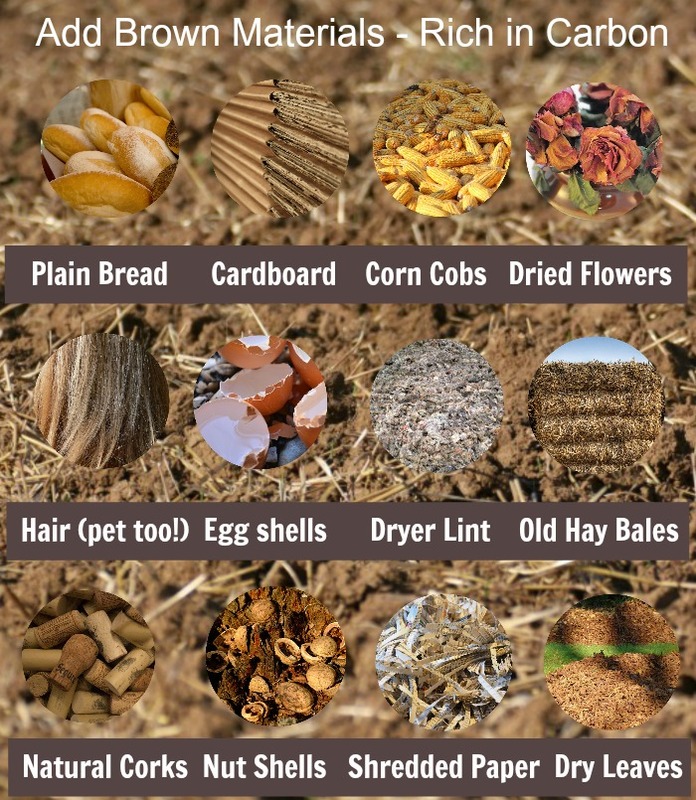 Try trench composting with these! 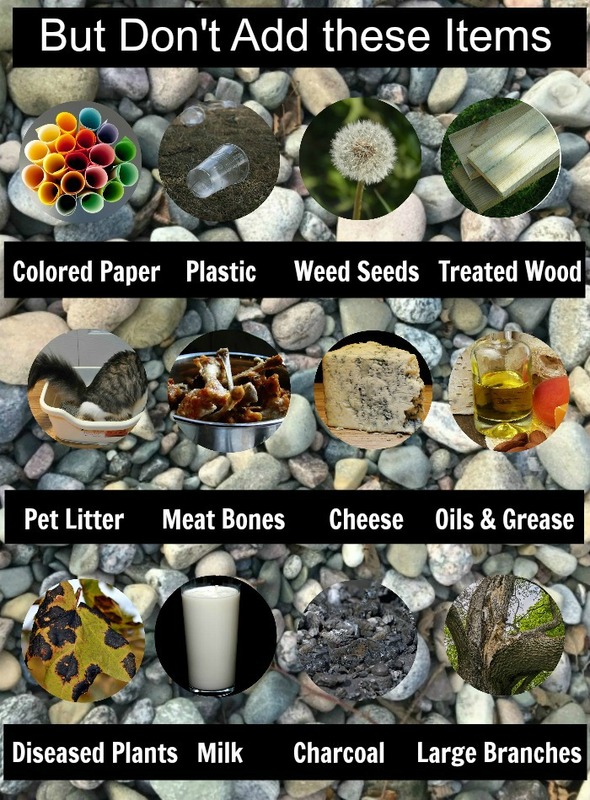 These items will make up 1/4 to 1/3 of the total compost pile. What are brown materials for a compost pile? And the list goes on. I’ve written an article on surprising things that you didn’t know you could compost. Thankfully, it is easy to procure browns for your pile. What should you NOT add to your compost pile? What do you do with compost? There are many reasons to make a compost pile. Compost is often called Mother Nature’s Black Gold or humus. There is a difference between humus and compost, though. Compost is the decayed remains of organic matter, while humus is actually natural organic compounds that are found in the soil. So, while they are often used interchangeably. remember that finished compost ADDS humus to the soil! There are lots of ways to use finished compost. I have a rule that I follow. When it comes to growing perennials, for every hole I dig, in goes some compost! 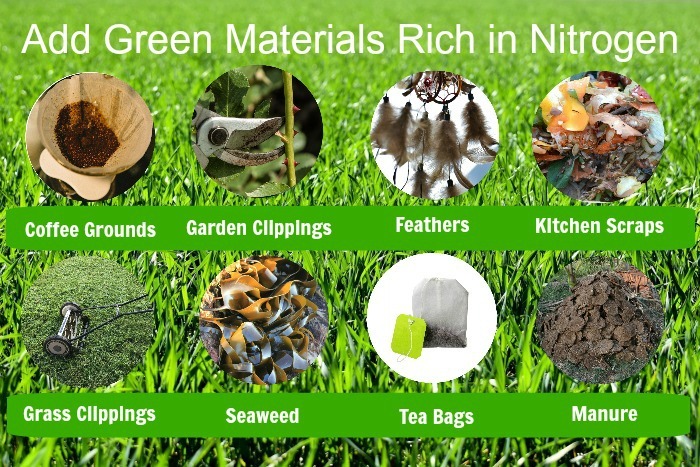 It can be used to enrich soil, or to add as a top dressing. You can add it to a neglected lawn to get it to grow better. Try making compost tea! Just mix some compost with water and use it on your house plants. Mulching with compost helps to control weeds and makes moisture control easier. Once you have your compost nicely broken down, you will need something to screen it to keep out larger particles. You are looking for a soil like material when you are done. You can purchase compost strainers, but I just use garden trays doubled up to screen my compost. They are readily available when you purchase plants and do the job nicely. 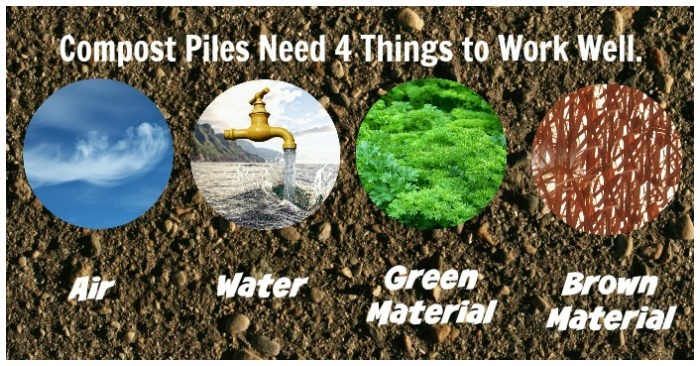 You will also need something to turn the compost pile as it is “cooking.” It takes a while for compost to break down, and turning the pile regularly speeds up this process. A compost pile does require some room. 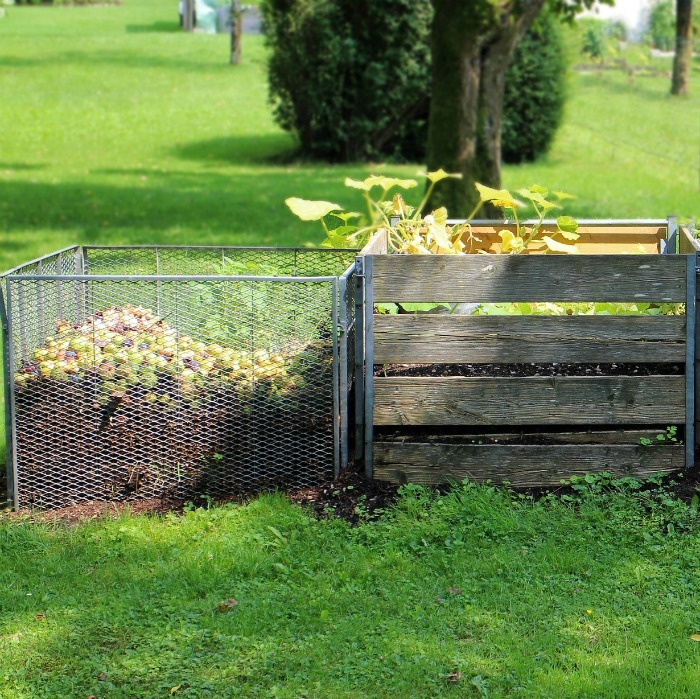 If your yard is small but you still want to make use of composting ideas, try on the spot composting with kitchen scraps. Adding coffee grounds and tea grounds to the soil of acid loving plants is also beneficial. When you start using compost around your yard, you will find that you have healthier plants, better soil and a greener lawn. Another benefit is that you are adding waste items to a compost pile instead of the land fill. Nutrients contained in compost have a wonderful effect on our garden and on our planet! Do you have some composting tips? What are some items that you add, or don’t add to your pile that I have not mentioned? I’d love to hear from you in the comments below. ← Dieffenbachia Poisoning – How Toxic is this Houseplant?